If you’re having a pool party for your kids or for a birthday celebration, there are abundant choices of fun games that are ideal for poolside party fun. Pool Troopers has a list of their favorites, some that call for toys and others that just rely on kids having fun in the water. Water balloon toss begins with players paired up. Facing their partner about a distance of three feet, they begin tossing water balloons to each other. Every time a kid catches it, he or she steps back. The winner is the furthers apart but still catching balloons. Find your animal mate begins with writing the names of animals twice on two separate pieces of paper. A piece of paper with an animal name is given to each kid. They then stand in a circle within the pool and make the sound of the animal that they have on their paper. The first animal pair to find their mate wins the game. Dodgeball with water balloons involves naming a person to be IT. IT gets armed with a large bunch of water balloons, which he/she then throw at everyone. Those who get hit are out and must help IT by tossing water balloons at others. The last person who has not been hit is the winner. You can find a bunch of water games here. You can also add your own suggestions for fun play in the water. And of course, the kids can play Marco Polo for exciting and traditional fun in the water. 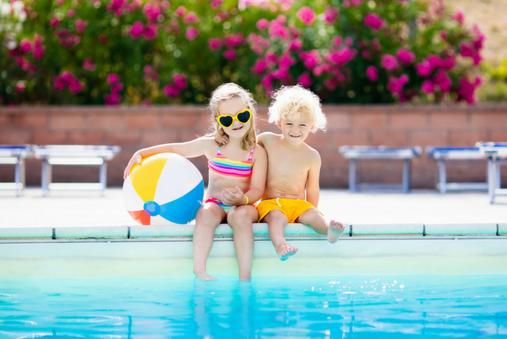 Investing in ready-made toys for your pool party games is another option. After the party happens the toys can still be used for pool fun between family and friends. Here are some suggestions that cover a range of party budgets. The Arcade Shooter for pools features 2 water guns and an inflatable two-station arcade shooter. It is great for kids 4 and up. Two players can play at a time in this carnival inspired game. Kids will line up to play! 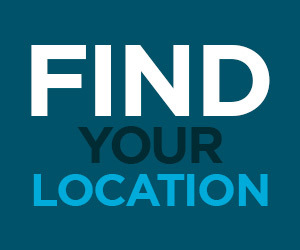 Treasure Hunt involves asking parents before the party to have their kids bring goggles, water wings or floating devices. The host should have some on hand as well. Kids are lined up at the shallow end of the pool and favorite float-able items, made of plastic, are then thrown into the shallow water. Kids then dive, float or wade to collect the treasure. The one with the most treasure wins the game. Then the “treasure” that remains is divided up among the kids to take home. This can also be played with teams. For older kids, weighted items, such as coins, that fall to the bottom of the pool can be used, calling for diving to collect them. Dive rings and other underwater treasures are similar to the Treasure Hunt and call for kids to collect them with a dive. Pirate Island Adventure Set is a float that is made of vinyl and can hold several swashbuckling kids. It comes with inflatable swords and shields and has a swim through the center as well as the slide that resembles a moat. Give the kids foam pirate hats and explore the pirate theme at a birthday pool party. Jousting with noodles involves two players on a float, each with a noodle, in the middle of the pool. The idea is to knock the other player off the raft. The winner then gets to play the next player until there is a final winner. 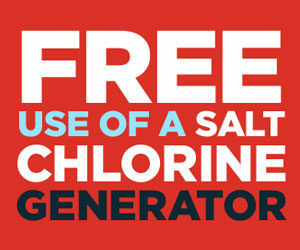 Safety: Make sure at least one responsible adult at a time is the designated Pool Watcher during the activities. Make sure other adults know not to interfere or distract the Pool Watcher while they are in charge of the children swimming. Before or after your party in the pool, Pool Troopers can help make sure the water is safe and clean for your little ones and their guests. Remember that pool safety is important during a party in the water when adventure and excitement are at their height. 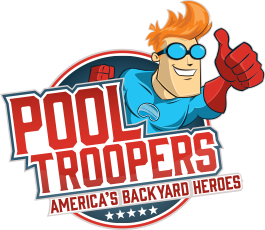 Pool Troopers wants you to have an awesome and safe party, filled with fun and splashes that will create a wonderful, memorable experience for all.